I am so inspired by visionary garden writers who work so hard to influence others about eco-friendly gardening practices. I know, first hand, how difficult it can be to both garden AND write with the goal of encouraging others to take a little bit better care of the planet. That’s why I love to pass along the projects and success stories of other people who work in the same field. And in the case of Catherine Zimmerman, the “field” is a low maintenance meadow. 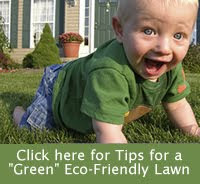 Zimmerman is a DC based certified horticulturist and landscape designer who is accredited in organic land care. She has designed and taught a course in organic landscaping for the USDA Graduate School Horticulture program, is an award-winning director of photography, contributes to one of my favorite blogs (Native Plants and Wildlife Gardens), and has written a very cool book entitled Urban & Suburban Meadows, Bringing Meadowscaping to Big and Small Spaces. I was poking around on kickstarter, an on-line fundraising forum, and noticed that Zimmerman is now working on creating an educational, documentary film to go along with the book and is looking for donations to help her get this exciting project launched! I’m excited to donate to a project that will encourage more people to cut down on their water hogging, chemical craving lawns and opt for something that attracts birds, bees and butterflies. If you have a few dollars to spare, I encourage you to make a donation to this great project. And if you can’t make a financial donation, help a fellow meadow maven out by reposting this message for her on your own blog, on Facebook and twitter. She only has until February 20, 2012 to reach her financial goal on kickstarter. "Kickstarter.com is an interesting fundraising website. You create an account, describe your project and set a money goal to be obtained within a specific time period. Pledges are tiered, with each tier offering different incentives. If your project doesn’t reach your pre-set (unchangeable) monetary goal in the (unchangeable) time limit, nobody pays. Backers simply can't lose — if you can’t complete the project, they don’t pay. And if you can, they get both their tier award and the satisfaction of knowing they were instrumental in seeing your project through to completion."